In this course we will read a book: "The Table-talk of a Mesopotamian Judge" by Abu Ali al-Muhassin b. Ali at-Tanukhi (who died in Baghdad in 994). This book was written to be amusing, diverting, and pleasant to read. Today, one thousand years later on the other side of the world, it is puzzling, surprising, and difficult to come to terms with. The gap between these two reader experiences is the subject matter of this course. The aim of the course is to bridge that gap: to come to enjoy and be challenged by the Table-Talk in the way that at-Tanukhi wanted his mediaeval readers to take both intellectual and literary pleasure from reading his book. 1. A new understanding of how a literary composition can be written, and of how a collection of anecdotes can be used to introduce and question big ideas about religion, fate, power, and success. 2. 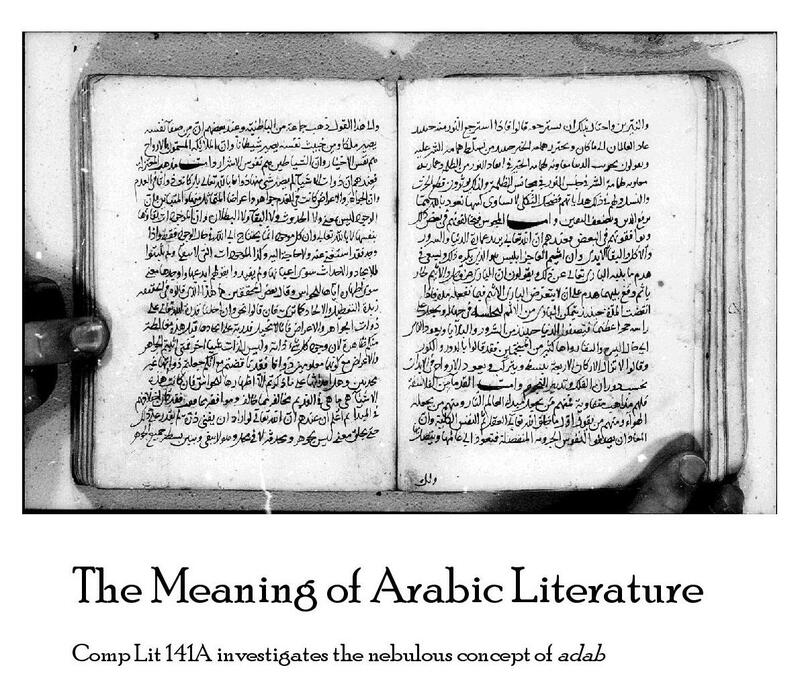 A new understanding of the role that literature (both poetry and prose) played in the political and professional life of mediaeval Baghdad. 3. An appreciation of how the golden age of Baghdad was different – both different from our expectations and different from our current context. A. Reading that branches out from a text to investigate context, frame unfamiliar people, places, and ideas, and follow leads. B. Reading that looks for and creates its own structures and themes, rather than having them laid out by the author. The course will take place in Fall 2012 (right now!) on Mondays and Wednesdays from 2:15 to 3:45pm in Building 260 Room 001. All Readings, assignments, and class discussion will be in English.